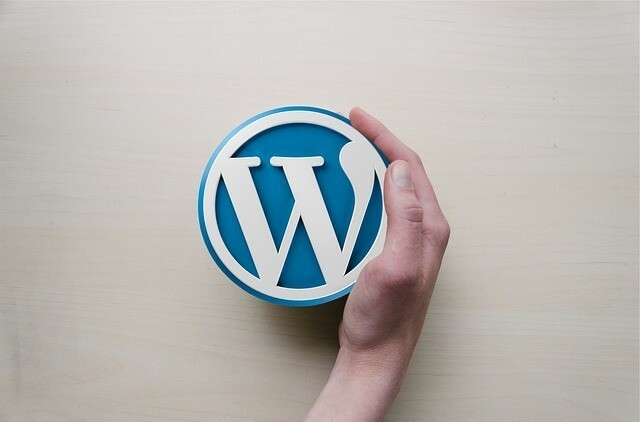 WordPress is a free and open source content management system (CMS), its features include a plugins architecture and a template system (themes), it’s commonly associated with blogging but it can be used by other types of web content including: mailing lists and forums, galleries and online stores. Used by more than 60 millions websites (April 2018). Wikipedia. WordPress is an easy way to build your own website, when you decide to create your online business you need to create your website and using WordPress will be the easiest way to work on it, you don’t need to learn to code and all that geeky stuff to work on your website. What is WordPress – Can I make money from it? This may be the most often asked question for many, and today I explain what it is and a few ways you can make money from it. Once you buy your business domain, you will need to create your website and the easiest way is to get a WordPress website and download a theme to work with. Frequent Questions About Why To Use WordPress. What’s the difference between a website and WordPress? WordPress is an open source software you can use to create a beautiful website or blog. It is the easiest way to create a website or a blog for beginners, it has a source content management system (CMS) that will make things easy for you at the time of creating content for your website. In other words WordPress is web publishing software you can use to create your own website or blog. It was created in 2003 and since that day become one of the most popular web publishing platforms. Today it’s the platform chosen by almost the 30 % of web designers of the entire web. From hobbies blogs to the biggest well established business. Why to choose to build your website with WordPress? Why will you choose WordPress to build your own website when there’re other platforms to work with on the net? Today many entrepreneurs and business people choose WordPress to build their website for the reason it brings an easy platform to work with, plus there’re a lots of support for it as in Plugins, by using plugins on your website they will allow you to work better and create a website for your business needs without the need to learn to code. Start Taking The Affiliate Marketer FREE Training Course Today! 1 – Because is an open and free source. This means there’re already thousand of people all over the world who are working every day to improve it and bring a vast of new features for you to use and most of them are for FREE. 2 – it’s incredibly flexible and extensible. While you work on your own website you can get thousands of plugins and themes to work with. By doing this, there will be no websites the same, even in your own niche, you can create your own online business and totally different from your competitors. 3 – It’s easy to use and to learn. Most of the affiliate marketers started as newbies, yes just like you and me, the first time I created my first website I didn’t know anything about how to build a website, but WordPress can help you to build your own step by step and in a few days your website will be ready to see the light and share your content with your readers. 4 – Easy to find help for your website. When you start to create your new website, you might get into a few problems, and that is normal, but the good news here is that even if you get in a big problem, you’ll find easily a way to solve it out, there’re are many people sharing content to help other to build their website the easy way. You can find many tutorials on the internet that will help you to build your website with the minimum of problems and errors. What can you do with WordPress. You might have the idea that is time for you to start your own online business, and WordPress brings the opportunity to create your own business. I will explain the different ways that you can create a business with WordPress. As you start your website, WordPress is already ready to help you to create the website right for your business. You can choose the theme right for your business. It will give your website the look and design you choose for it. With the theme you choose for your website, you can pick the right colors for your business, the fonts, the fonts size, and the place for your logo, your Social Media accounts, and your affiliate links. When you start to work with WordPress you will get a default them, it has its own features and you can try it out and if you don’t like it you can change it for another theme that goes with your business. There are many themes that you can get for FREE but there’re also a wide variety of paid themes that comes with more features and they will help you to create your own online business. As a beginner I will recommend to start with a FREE theme and as you keep working on it, you’ll get more familiar with WordPress and with your website theme, you will get to know the needs for your business and then you can choose a paid theme to work with. When you start to work on your website, you can create the pages for your business and its blog, where you will be sharing your content for your readers. All this can be done on the inside WordPress admin area. If you want to create a blog where you can share with the rest of the world your articles, WordPress is ready for you, all your articles or blog post will be contained on your blog roll. As you work to create content for your blog, WordPress will contain them in chronological order, the most recent post will be on the top. Bloggers use their blogs to share their thoughts and articles with the rest of the world, a blog can be built to share your thoughts on a topic or on a hobby. You can build your blog just to share your articles on it, but if you want to go and take the next step you always can start your own online business from your blog and the next step will be to monetize your blog. There’re already great information to help you to keep working on your blog and turn it into a good online business. Yes, WordPress is the platform that will help you to create your own online store, whether you sell your own products or other peoples products, an online store will be a good option to start with. There’s a popular free plugin called WooCommerce that you can install on your WordPress that will allow you to build an online store quite easily without to code. I haven’t used it for myself, but I have heard from many people who have been using this plugin with great success, as it makes easy for them to create their own online stores. An online store is a good option for many online entrepreneurs as their stores will be open 24/7 and it can be run from home. As you work on your own website, you will learn about the different ways people can turn a simple website into an online business that help them to work from home and make a good income from it. Another type of website that can help you to make an income for you is the membership site. If you have chosen a niche where you can grow your website and create a part of it to share with your readers certain information, you can create a paid membership option for your readers. As your readers get interested to be part of it, you can create the sign up form for them to join it. You can make money with your WordPress website. Yes, you can and all you need is to learn how you can make it. It won’t take you long to learn the first steps to create your own website and start creating content for your website, in a few days or weeks your website will get traffic. While you learn how to create your own website, you’ll be learning the steps to follow to create any website, you can start your own business helping others to create their websites. More and more people are currently looking to hire web designers and web developers, and you can learn how to help them to create their website of their dreams. Learning SEO and working for others. If you start learning about SEO and create SEO friendly content for your website, your website will get all the traffic it needs to become a good online business. There are many bloggers and online owners who need help to create SEO friendly content for their blogs and website, you can work from home and help them to get their websites and blogs content SEO ready. 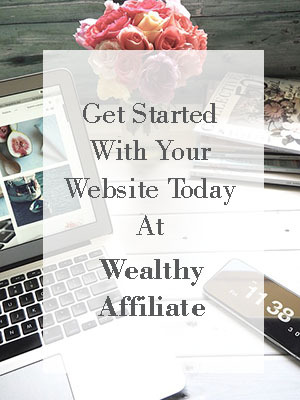 But my favorite way to turn any blog or website into a good online business and create an unlimited income from it; it’s by learning and working on Affiliate Marketing. You can turn your own blog or website into a passive income business and start working from anywhere you want to. Learn how to create content for your blog or website with affiliate marketing to help people to solve any kind of problem anywhere. Your website will be open 24/7/365 and it will be working for you! My #1 recommendation is to learn Affiliate Marketing with this FREE 10 lesson course and create your own FREE website with WordPress. If you decide to sign up today, I’ll be there waiting to welcome you and give you a hand while you learn to create your website, you can read my profile here.